As Hong Kong art lovers hotly anticipate the city’s biggest week of art coming up with the arrival of Art Basel Hong Kong and Art Central at the end of the month, galleries have been busy preparing for their concurrent openings all over town. But none has received quite so much fanfare and attention as the newly launched H Queen’s, Central’s newest gleaming tower dedicated to art and lifestyle, arguably the first of its kind in the world. 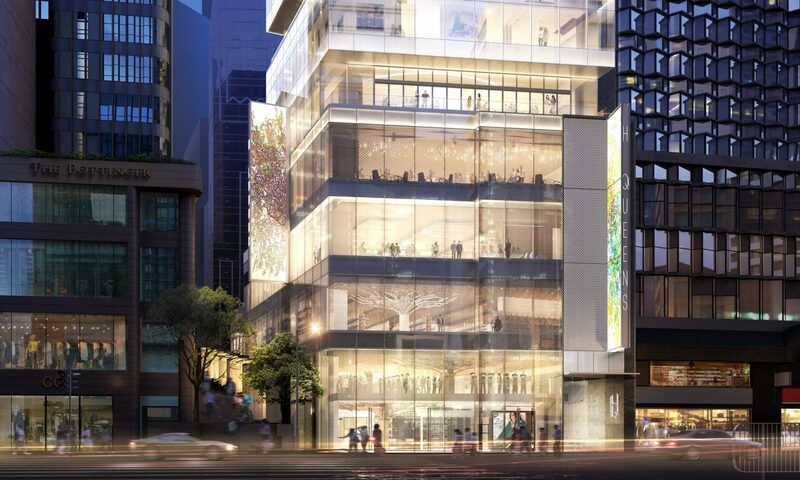 Fashioned from a prestigious office building address on 80 Queen’s Road Central, H Queen’s is a brand new 24-storey building that is set to become Hong Kong’s newest and perhaps most impressive art hub. It is owned by Henderson Land and is managed by Kristine Li, the eldest granddaughter of property tycoon Lee Shau-kee, who shared with the press at a recent unveiling event that at the building’s current 80% occupancy, reportedly half of the available spaces are art galleries, and 30% are restaurants and retail. The strong support for art was evident even before the building was even built, when 10 Hong Kong artists such as Frog King and Lam Tung-pang transformed the exterior hoarding of H Queen’s in 2016. In 2017, passers-by were given a visual treat with large-scale digital art by teamLab, İnci Eviner, Zhao Zhao and Sputniko!. H Queen’s was also the lead sponsor of the recently launched Harbour Art Sculpture Park, which brings dozens of museum-quality works to the public along the Central Harbourfront. Currently, you may have noticed the ground floor of H Queen’s is taken up by a pop-up space and the soon-to-be-launched Major League Baseball retail flagship, its first in Hong Kong. 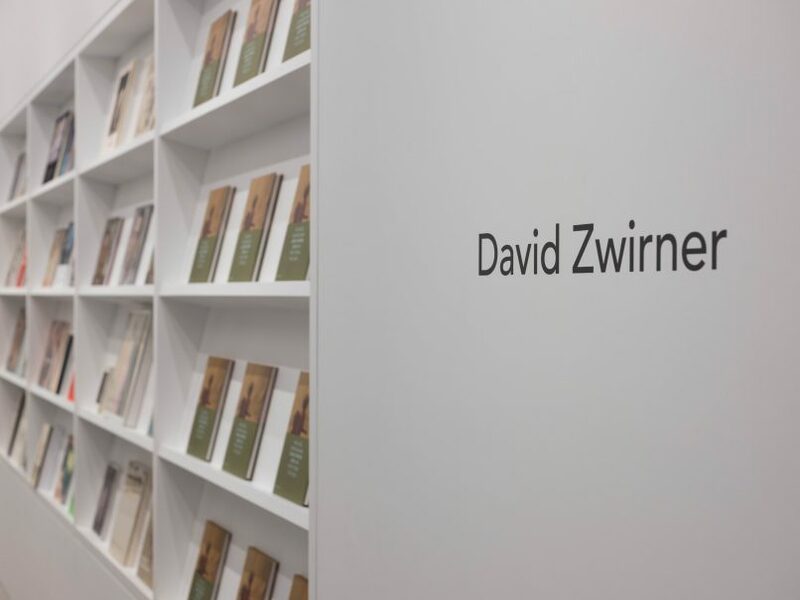 Upstairs however, the middle floors of H Queen’s are dominated by some of the world’s biggest names in art, including one of the world’s most established galleries, David Zwirner. The gallery debuted its new Hong Kong space in January with a solo show by Belgian painter Michaël Borremans, and will open Art Basel week with never-before-seen works by influential photographer Wolfgang Tillmans. Joining David Zwirner as another authoritative name in the international art world is Hauser & Wirth, which has outposts in London, New York, Somerset, Los Angeles and Gstaad. They’re opening their first Asian gallery on 26 March with an exhibition of new paintings by L.A.-based artist Mark Bradford. Other spaces will be occupied by galleries that already have an existing presence in Hong Kong, including Pearl Lam Galleries (its third in Hong Kong), Tang Contemporary Art, Whitestone Gallery and Pace Gallery Hong Kong, which is exhibiting the long-awaited new works by Yoshitomo Nara — his second solo show in Hong Kong. 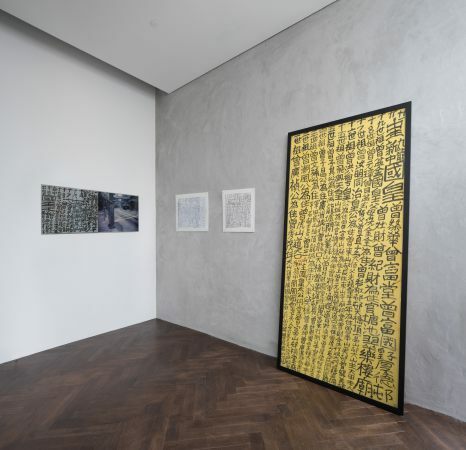 Hong Kong gallery Galerie Ora-Ora opened on 1 March with a group show entitled ‘Screaming Books.’ You’ll also find Seoul Auction House’s first Hong Kong private sale gallery SA+ (below). It’s currently showing a dual exhibition of Lee Ufan and Yayoi Kusama, with an upcoming auction on 29 March. What makes H Queen’s truly unique is in how much the design of the building has been curated specially for hosting art galleries; even before its launch, the building had already won design awards such as the China Property Award and Press Commercial Building Award. With sustainable design practices in mind, it’s currently vying for the LEED certification at gold level, and hoping for even the highest level at platinum. 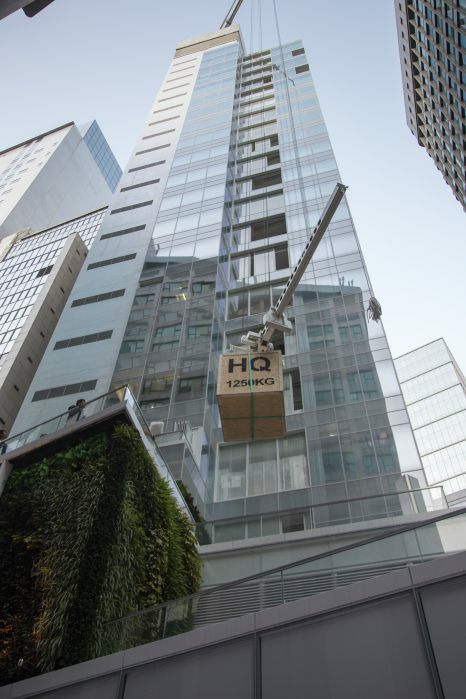 H Queen’s features a unique hoisting system to transport heavy artworks into gallery floors directly through the windows. It’s been a long-held debate whether the incoming wave of international art galleries has negatively impact the local art scene, with many expressing concern about the lack of Hong Kong representation. 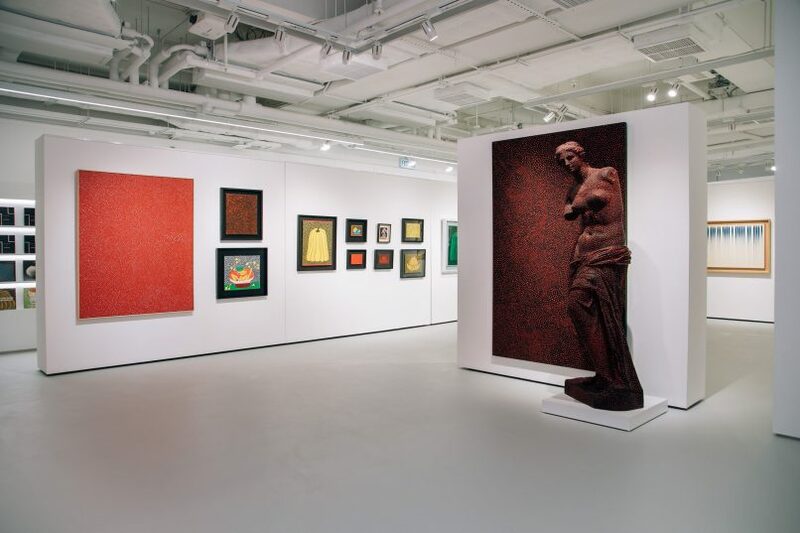 At H Queen’s, Galerie Ora-Ora is the only gallery that was born and cultivated in Hong Kong. Some, however, find it a sign of a healthy and robust world-class art scene. The exhibition “Screaming Books” at Galerie Ora-Ora’s H Queen’s space runs until 17 March. Art fairs coming to Hong Kong and the opening of such world-class galleries has also created a slew of jobs for the art industry, which feeds back into a thriving community where there’s always a show to see, a gallery to visit. “The entire thing is a whole chain of expansion,” adds Lim. Of course, it’s not just about the art, but just about everything in the building seems to point to appreciation for the finer things in life. 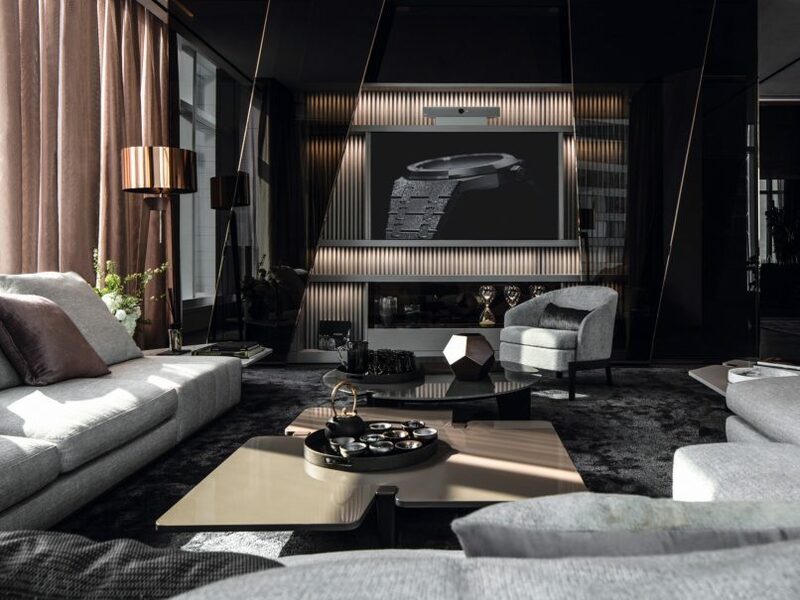 For one, Swiss Horlogerie brand Audemars Piguet has also taken up a two-storey space for its first AP House in Asia — with one floor dedicated to offices and one floor as an entertainment lounge and showroom for its distinguished clientele. 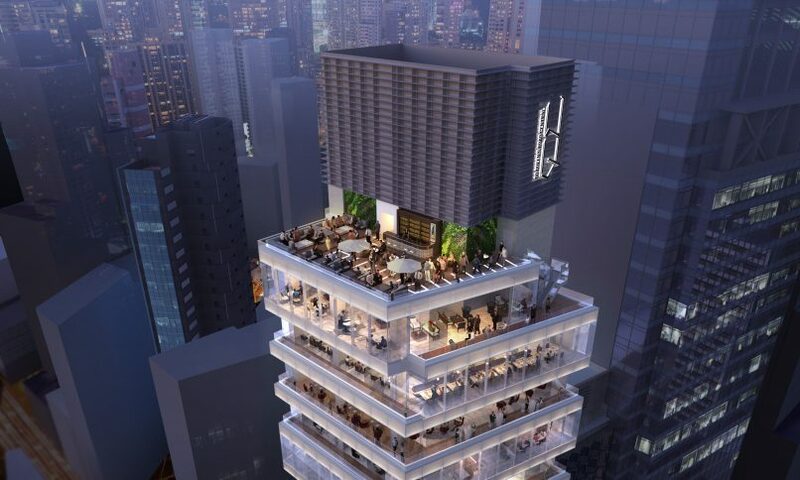 With Hongkongers always on the hunt for new and exciting places to wine and dine, H Queen’s is also set to become a thrilling new dining destination. Currently open on Pottinger Street is craft patisserie Vive Cake Boutique, while other restaurants we can anticipate include French fine diner Écriture; Arbor, offering boundary-pushing French cuisine by Michelin-starred chef Nicolas Boutin and slated to open in April; the first Asian outpost of French-Mediterranean restaurant La Petite Maison opening in June; as well as Bulldozer Group’s return to Hong Kong with Estiatorio KEIA and ICHI Peru — the latter helmed by Peruvian chef Virgilio Martínez Véliz, named the World’s Greatest Chef of 2017 and famed for his flagship restaurant Central Restaurante in Lima. The topmost and bottom floors at H Queen’s are reserved for F&B and retail. However, it comes at no surprise that such space will come as a luxury. At the press conference for the launch of H Queen’s, we learned that rent prices reportedly start from HK$100 per sq. ft., reaching close to HK$140 per sq. ft. for the building’s F&B outlets. For Audemars Piguet, the prestige of relocating itself in a 9,400-sq.-ft. space allegedly costs a premium monthly rent of about HK$850,000 — a hefty upgrade if you consider its current office address in Wan Chai only costs about HK$200,000 a month. But surely, with the incredibly handsome new space, it will take no effort in swaying guests into treating themselves to a few more armfuls of wrist candy to help cover the price tag. If anything, it’s a measure of the surefire confidence developers and commercial galleries have in the art and lifestyle scene in Hong Kong. On the 25th of March, the public can expect a performance at the ground floor pop-up space (Hart Hall) by Japanese artist Miwa Komatsu, represented by Whitestone Gallery. On the 26th of March, H Queen’s will be hosting an open-house reception at 6pm to officially welcome the public to a vertical art walk — the first opportunity to explore all the exhibitions open that evening. F&B outlets are also set to prepare creative art-themed dishes to celebrate Art Basel week. With that, we expect Queen’s Road Central to be everybody’s first stop to take on the full force of Hong Kong’s rapidly expanding art scene in the weeks and months to come.